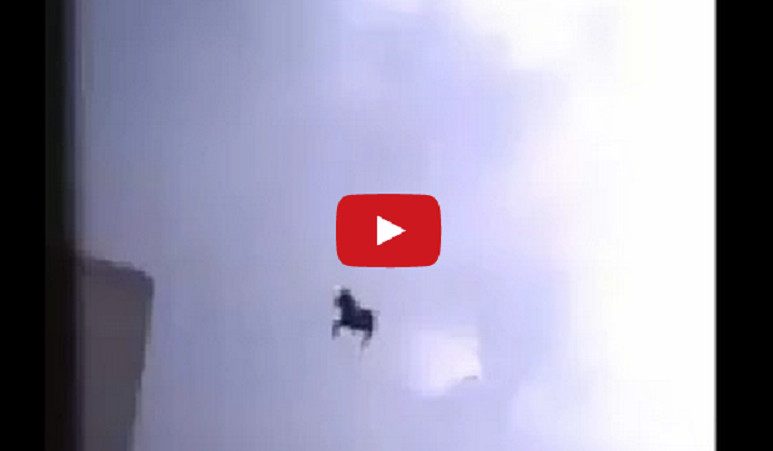 Flying Black Horse Filmed In Saudi Arabia - Real or Fake? End times? This video is now viral across social media showing a black horse flying in the sky over Jeddah, Saudi Arabia. The video has caused an uproar in the Muslim world. The Islamic community sees this Black horse as a sign of the end times. Christians, not wanting to be left out, are saying this horse is one of the ‘Four Horsemen’ of the Apocalypse. Those who believe this is real point to the movement of the horse. Commentators swear that they can see the horses legs and tail moving. Check out the video and draw your own conclusions. Is this flying horse real? Or just another hoax of the Internet? You decide!